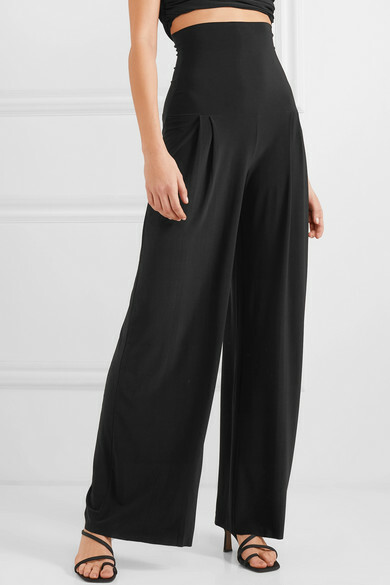 Norma Kamali's pants are designed with an ultra high waist which sits just beneath the bust to smooth and sculpt your midsection. 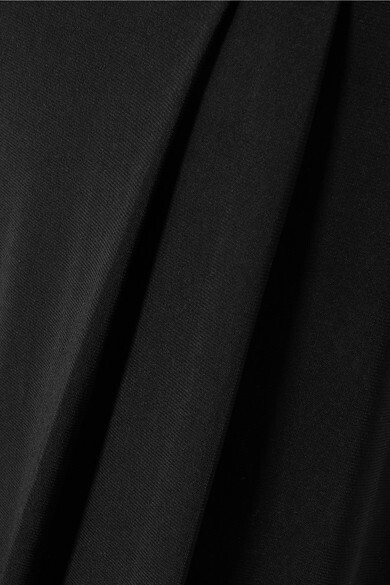 This wide-leg pair is cut from black stretch-jersey and detailed with modern flat pleats. 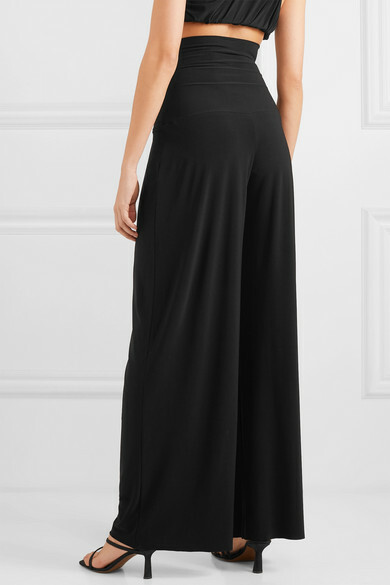 Shown here with: Norma Kamali Top, Hunting Season Pouch, Neous Mules, Isabel Marant Earrings.